It is impossible for any restaurant to function successfully without a well-trained staff. 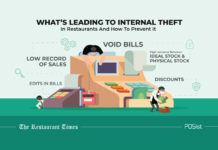 Your employees are the face of your business since they interact with the customers and are responsible for making or breaking a restaurant’s reputation. Therefore it is essential to understand the importance of restaurant staff training. 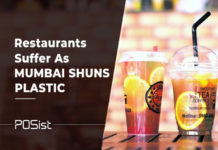 In recent years, UAE has seen a steady growth in the food and beverage industry, leading to an oversupply of restaurants, especially in Dubai. To withstand the competition, it is critical that you have a team of well-trained restaurant staff that delivers excellent service consistently. Restaurant staff attrition rate is quite high in UAE, and according to Entrepreneur Middle East, the main reason behind this is not having career development opportunities. 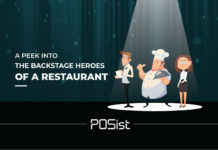 To tackle this situation, it is essential to have restaurant staff training and development program which would act as great motivational tools and make your staff feel valued and also contribute to the success of your restaurant. 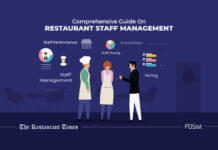 A well-planned restaurant staff training program will make your staff more efficient by providing them with adequate knowledge about how things go about at your restaurant. Training your staff from time to time helps in making them well organized which indeed results in better management of the restaurant. Training plays a very vital role in increasing the efficiency of the staff since it improves their skill set. It also helps in making the team familiar with the top management and acts as a communication channel between the two. A poorly trained staff would repel the customers from coming back to your restaurant, and we understand that; therefore we have prepared a list of things you can keep in mind while training your staff. 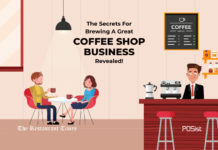 Before you start with the training process, you need to ask yourself why is it required and how it’ll help your restaurant staff? 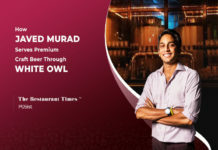 It is vital to keep a check on the changing scenarios in UAE’s food and beverage industry and how you plan to match up with it through your training program. Stay updated about the new changes in the industry as it would give you an upper hand when planning your training sessions also; it would help you understand how much more input is required from your staffs’ end. Once you have determined the need, you have to assess and see if the training process would help make any difference in your staff’s efficiency. Holding an orientation before you start with the training program is a must. This would make the employees familiar with the restaurant and what is expected out of them. 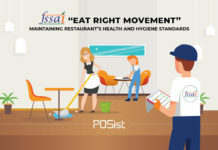 You can provide the necessary information about your restaurant, the practices, and other relevant things that can affect your staff’s performance. Any formalities that the restaurant staff needs to carry out before they start with the training. A brief introduction to the training program. Instead of merely instructing, you should educate your employees during the restaurant staff training sessions. No matter how experienced the newly hired person is, they are new to your restaurant and require proper instructions on how your restaurant operates. 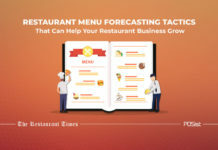 Educate the staff briefly about the restaurant’s menu, ideal guests, and your service standards. Having a proper restaurant staff training manual becomes critical in this case. 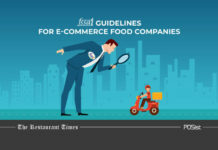 The manual acts as a set of guidelines that your staff should follow and always refer to. There are broadly two aspects you need to train your restaurant staff on to increase their efficiency. These are the general everyday instructions that you need to educate your restaurant staff in. This includes things like your the specific duties that each staff is expected to deliver, the restaurant menu, cuisine type, what kind of customers the team can ideally expect, busy hours or days, etc. This information will give your staff a clear idea about how they should be going about carrying out daily operations, which will help increase their efficiency. In UAE, more than seventy-five percent Emiratis rely on online delivery or take-away apps or websites. 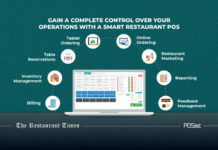 This makes it essential to train your staff about the technology that you are using at your restaurant to ensure swift performance. 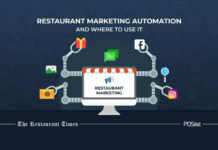 Also, restaurant technology has grown leaps and bounds and you should be employing that you automate your operations. However, unless you train your restaurant staff to utilize them properly, all if it would go to waste. 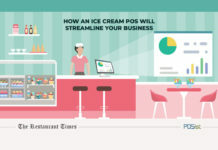 Make your team familiar with the POS system, mobile ordering app, feedback app, and all other technologies that you might be using. This will help increase the efficiency of your staff and make them prompt in performing their duties. Once you have given your restaurant staff the verbal or written knowledge, it’s now time for them to watch and learn. Ask your experienced staff to demonstrate their skills and make the new staff assist and observe them. Trainees can observe and later replicate the same. 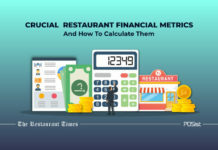 This is an excellent way for the new staff to analyze and learn your restaurant’s commonly used practices. Instruct your old staff to go about the daily operations as they would normally. You can create a group of three to four people and assign them a mentor whom they can observe and learn, and later ask questions to. If your new staff knows how things are done at your restaurant beforehand, this will make them reasonably efficient once they hit the floor. Also, if time allows you can have to new staff shadowing other teams to see how the whole restaurant works together. You might think that training the new team about for all positions would make them the jack of all trades and master of none! But this is not the case in the restaurant industry. You should give basic knowledge about various departments to the new staff. This will make them more efficient and flexible enough to fill in a person’s position if he/she is unavailable. This also gives the restaurant staff an insight into other’s responsibilities which would promote teamwork as well. However, do not go overboard, provide the new staff with elementary knowledge, enough for them to understand and respect other’s work. The restaurant staff training should never end even if the trainee joins the regular staff members. Hold refresher meetings regularly and help the employees recall the training they were given. Continuously supervise the staff and ensure that they are practicing what has been taught to them. Supervision ensures that the less experienced team has someone to reach out to, which helps in bridging the gap between the higher authorities and the staff. If you undergo any new changes such as an updated menu or if you are introducing new technology, your staff should be aware of that. It is essential to host regular restaurant staff training sessions to keep your team updated. Also, you can use these meetings as a great platform to inform your staff about any upcoming trends in the UAE’s food and beverage industry. Considering the high labor turnover rate in the UAE, there is a dearth of skilled staff in the restaurant business. Thus, it is advisable that you train and nurture your staff, and keep them happy and motivated so that they continue to work at your restaurant for a prolonged time. A proper training program is beneficial for your staff and your restaurant’s success. An efficient staff would increase your restaurant’s brand value and would carry out the daily operations systematically. These points will help you establish an effective training program and make your staff more efficient.